Before considering what estate planning and asset protection strategies are best for you, it is important to have a realistic appraisal of your net worth. This includes the various values of the items you possess, any business interests you own, and the money you have in various accounts, minus your debts and liabilities. The following provides some simple tools to use in this process, along with tips on valuing your possessions. Cash values on life insurance policies. Personal loans from relatives or friends. Once you have assembled a thorough list, you deduct your liabilities from your assets, and the remainder is your net worth. Appraisals: An appraisal is an expert’s view of what an item might be sold for. Relative value: This determines how much similar items are going for on the current market. Absolute value: This is a more complicated method, which determines the present value of the items projected cash flow. 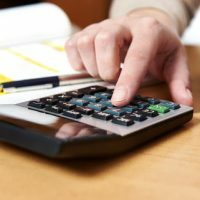 While net worth calculators can be a helpful tool to get you started, valuations can vary. It is important to consult with an estate planning professional to ensure these amounts are correct. Evaluating your net worth is an important step in protecting your current and future interests. Contact Cavallo & Cavallo and request a consultation with our New York estate planning and asset protection attorneys to ensure you have the proper documents in place.